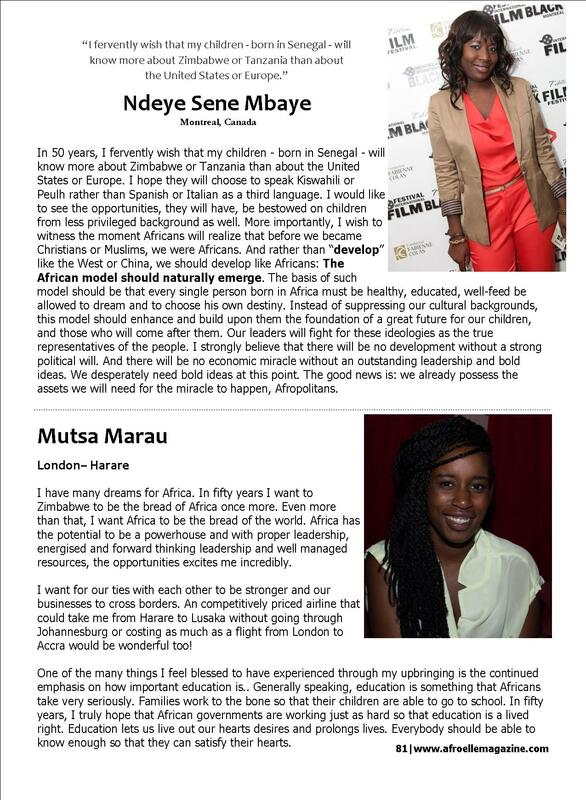 As an Afropolitan , I have had the honour to contribute to AfroElle Afropolitan Issue my vision of Africa in 2063. AfroElle is an online destination for women of African heritage. AfroElle’s overall aim is to provide content for black women around the world and for them to find empowerment and encouragement to lead fulfilled lives through this magazine. You can connect with AfroElle on Facebook and Twitter. With so much talent and vision shared by more than 30 African women, nothing can stop Africa to shine bright. I hope you will enjoy reading as much as I did.